According to The Center for Treatment of Anxiety and Mood Disorders, “Trauma can be defined as a psychological, emotional response to an event or an experience that is deeply distressing or disturbing.” In the context of school and learning, trauma can have social and emotional effects — a student might feel anger, sadness, grief, or helplessness. Trauma may also affect a student physically, such as headaches and nausea. These effects are trauma symptoms. Children and young adults have different stories and events that impact their everyday emotions. Don’t dismiss a student’s trauma by comparing it to another student’s. Each child or young adult copes differently and are affected differently. Trauma is not always related to violence, such as students experiencing a divorce, family member passing or becoming ill, and being over-scheduled. High-stress environments can lead to trauma. For example, Jayden, the once outgoing student in my class, became withdrawn from everyday activities. He became upset when asked to participate and sat by himself at the lunch table. I noticed this change in behavior and how it impacted my classroom environment; his peers wouldn’t interact with him and he made a classmate cry. When I spoke to his family, I found out that there was a dramatic change at home. Jayden’s family had been displaced to a shelter due to a parent losing their job. Drastic changes in student behavior is a sign that a student is affected by trauma. Students can react in various ways, such as exhibiting uncharacteristic behavior, becoming withdrawn or docile, lashing out, or plummeting grades. With Jayden, I could have easily made the mistake of attributing his behavior to his frustration with the academics (and him disrupting the class on purpose). The temptation is to deny trauma and accept simpler narratives that we craft in our minds without information. We have a responsibility to seek more information, in this case, calling Jayden’s family when more could not be learned by speaking with him. Be vigilant for potential signs of trauma. And be cautious with your assumptions (whether trauma is present or not). If you are unsure, gather more information through observation and speaking with the student, asking school team members, and reaching out to the student’s family. Give the student space. Allow them time to be with their emotions. Inform them they can come to you when they’re ready. Don’t engage in a power struggle when students behave negatively. Talk with the student about their behavior and ask how you can help. Form a support team. Proactively reach out to the school social worker or counselor, other colleagues, family, and even the student’s friends. It is best when there is a full group of people supporting the individual. Reach out to family and share your concern. Ask if anything has changed in the home environment and learn more. If the student is putting themselves or anyone else in danger, escalate immediately according to your school’s protocol. By learning more about Jayden’s trauma, I was able to distinguish between the academic and social-emotional barriers to learning. I worked to minimize distractions for him to create a safe environment for all learners. The breakthrough moment was when I took a proactive approach to identifying and managing blockers to learning. Because of all the competing responsibilities, it is tempting to sit-back and make assumptions about problems. By observing, hypothesizing, and validating student problems, a teacher can be much more effective in choosing and implementing strategies to make improvements. Remember, your classroom strategy is built on top of your assessment of a problem, so if your assumptions are wrong — the strategy is likely to be ineffective. However, if you are successful in identifying trauma, you can take a proactive approach and prevent a multitude of problems before they even start. This is critical in being a high-leverage teacher who can focus on proactive instruction versus reactive classroom issues. Students with trauma particularly need structure to guide their focus, behavioral expression, and learning. These students often struggle to maintain attention while learning, even on simple tasks, and need your help to point their energy in the right direction. Even if learning is not happening immediately, structure in the classroom provides stability and regularity that may be missing outside the classroom. What is most important here is creating psychological safety in your classroom with a clear expectations and rules. With so much time surrounded by trauma outside the classroom, students will bring the effects of trauma into the classroom. Upon returning each school day (particularly after a long weekend or holiday), it is important for you to reset the classroom as needed, even if that means adapting basic classroom procedures and routines so that students can emotionally “rebase.” It may feel like your class is regressing, but a common mistake is to dive into instruction when students are not emotionally prepared to engage. Without engagement, there is no actual learning. In fact, you might be accumulating what Selected calls “teaching debt” when you have to re-teach content to meet a learning outcome. When I asked Jayden what he needed, he was able to express his needs in the moment. At various points, he needed space to be alone, time to do his work, or a task to keep his mind occupied. Try not to get frustrated, angry, or try to fix the situation. Instead, listen to your student while being cognizant of emotional triggers. Give them time to answer your questions. When you ask students what they need, you are informing them that you are aware of their situation, without evoking the negative feelings, and that they have someone in their corner. This builds trust with students. I re-built trust with Jayden by doing this. Trauma can cause stress, and stress can affect learning. Look to minimize source of stress in the classroom. Provide a space in the classroom for student to sit alone and process their emotions (e.g., a corner). Ask the student where they’d like to take a break. Be a lending ear. Ask students how they are feeling, what they need, etc. Have structure in your classroom. Follow through with your policies. Create necessary routines and procedures. Acknowledge that students may struggle with their learning. Provide enough time and modify your assignments and tasks, as needed. In the beginning, Jayden’s behavior disrupted our classroom flow. It was difficult to get through a lesson without him making noises of disapproval or sharing negative remarks to his peers. With support from Jayden’s family, I had a better picture of Jayden’s situation. I was able to reach him through compassion and a better understanding of his emotional triggers. I also gave him space to feel safe and valued. Students with trauma can feel a loss of control. Provide opportunities where they can control the situation around them. Provide classroom jobs and positive reinforcement. If they are up for the task, ask them to be a peer helper. 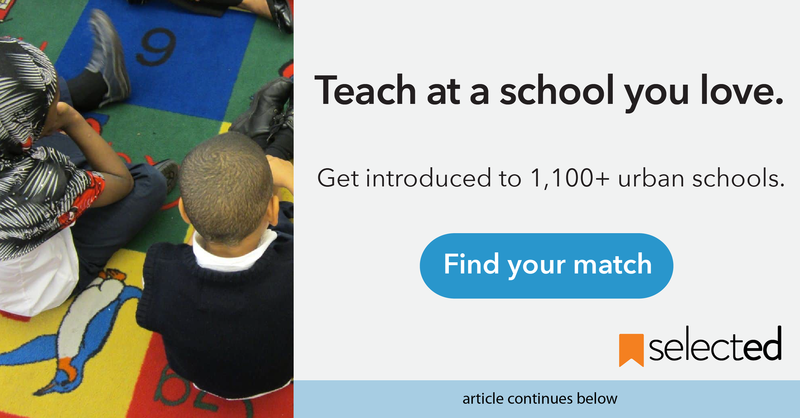 Help the student achieve their goals. Help break down large goals into small wins. The key to working with students with trauma is providing safety, structure, and space. Try not to take their behavior or academic challenges personally. What the student is going through is bigger than the classroom. Create allies in your effort — engage family and parents. Finally, give it time. Over time, Jayden started to open up again and participated more as he regained his confidence. Remember to ask your students what they need. Your classroom may be the only sanctuary they have. Passionate about the success and retainment of teachers. Dedicated to teaching and leading educators to build relationships with all stakeholders. 12 years experience as a teacher and school leader. More posts by Misty Awan.